Welcome to West Chester Family Dentistry! At West Chester Family Dentistry you are more than a patient, you are family! We created our practice with a lifelong relationship mindset. Whether you have dental questions and are interested in a consultation or it is time for your oral health check-up, Dr.Tran and Dr. Smith invite you to call us, email us, or visit the practice anytime. Dr. Tran has been in private practice since 1996 and opened our West Chester location in 2001. From the very beginning we've focused on providing excellent dental care along with superior client service. In the Fall of 2008 we built our current 2-story facility in the heart of Olde West Chester. We custom designed everything with your comfort in mind, from the 750 gallon salt water aquarium in our reception area to the massage dental chairs in each treatment room, reflecting a warm environment for you and your family. Our primary goal is to make you feel at home every step of the way. We're ready to take care of you and your family's oral health from hygiene visits, general dentistry, such as tooth colored fillings and crowns, to complete smile makeovers including implant placement. If you need a little assistance to relax during your visits, we offer sedation dentistry as well! Visit the rest of our site for more information on how we can keep you healthy, happy, and smiling! Contact us today! Smile Big, Eat the Foods You Want and Be a Confident You! Schedule an appointment. Hours: Monday to Thursday: 7 am to 6 pm. Friday: 7 am to 3 pm. 3rd Saturday: 8 am to 12 pm. West Chester Dentist, Dr. Phuoc Tran is a professional dedicated to Excellence in General, Family, & Cosmetic Dentistry such as Lumineers, Teeth Whitening, Laser Dentistry & many other dental procedures. 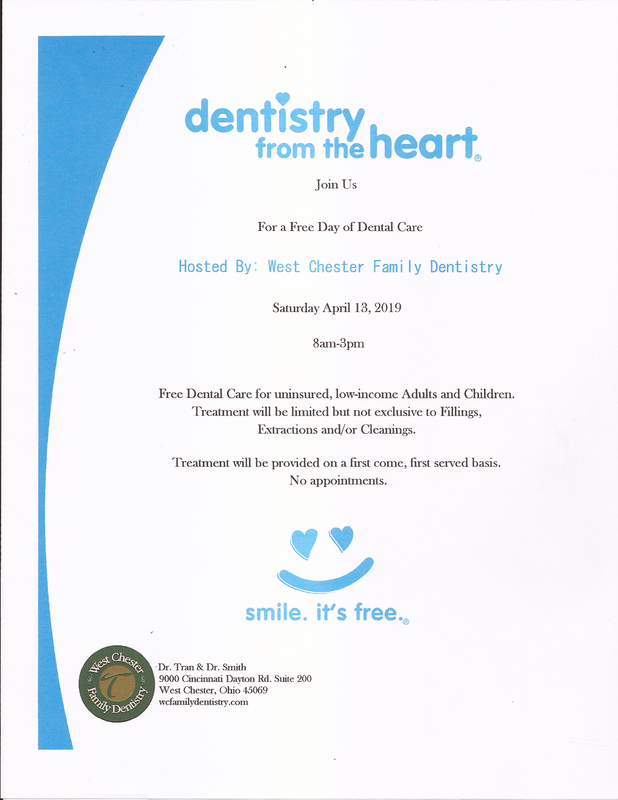 Please come and visit West Chester Dentist, Dr. Phuoc Tran.